This is the first in a four part series of the Harriet Hargrave Quilting Academy. In this course, the student will learn basics such as how to prepare and cut fabric, how to sew straight seams as well as how to recognize pattern types and how to design their own quilt. 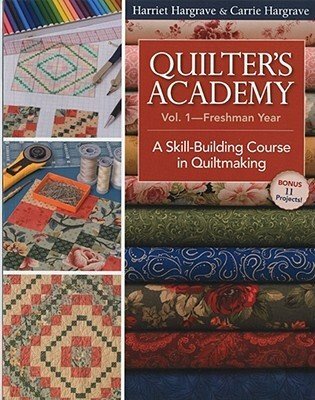 Everyone from the beginning novice to the experienced quilter will benefit from the knowledge they will gain in this course. Requirements: Supply list will be given in first class. The Harriet Hargrave Freshman Course book will be available for purchase at a price of $25 but is not required.